The new Master of Social Work (MSW) curriculum is designed to be at the cutting edge of contemporary social work practice. Two years of planning and consultation with stakeholders have transformed our program vision and delivery. 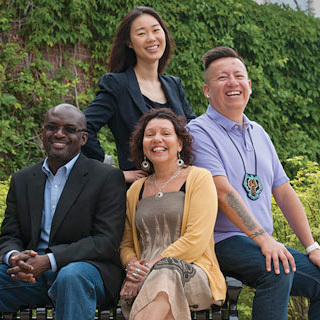 Our curriculum emphasizes the development of critically reflexive practice skills through the ongoing integration of knowledge, theory and practice within a framework that promotes the advancement of equity, inclusivity, reflexivity and social justice. It is our anticipation that graduates of our program will walk alongside those with whom they work, in collaborative, inclusive, reflexive and caring ways and that they will stand up for what they believe is just. Monday, Oct. 15, 2018, 7-8:30 p.m.
Monday, Nov. 19, 2018, 7-8:30 p.m.
Monday, Dec. 3, 2018, 7-8:30 p.m.
For additional information, view a MSW Laurier@Home Webinar. Visit our MSW online website for more information about our online part-time program. We offer several options for obtaining your MSW. *Learn about Laurier's Bachelor of Social Work program. Field education is a vital aspect of your MSW program. It constitutes a large part of your program and provides an opportunity to integrate social work theory and practice. As part of your field education, you will complete courses with approved agencies that provide micro and/or macro learning opportunities. A qualified agency-based field instructor will provide supervision to help you to develop social work practice skills that reflect your foundational or advanced field education course. Through the International Social Work Program, a few international placements are available for students in the two-year full-time program. Four-year bachelor’s degree or equivalent for our two-year full-time or combined MSW-MDiv programs. BSW for our advanced standing programs. B average in your last academic year. Academic background includes at least four full social science credits and a half-credit course in research methodology. Evidence of paid and/or voluntary experience in human service organizations is required. Two or more years of experience would be considered an asset.